Diena Simply Natural (DSN), a braiding company in McKinney, Texas, needed to rebrand her online presence in order to appeal to more customers online. After working on her logo, we created a fully functional website that not only showcased the company, but also worked as a lead generation tool for her business. There’s a gallery page that showcases all previous hairstyles done by customers including a services page to accept new client orders. Video marketing has also contributed to the huge success of this brand. With the video testimonials we created, they’re used at strategic points to drive sales. 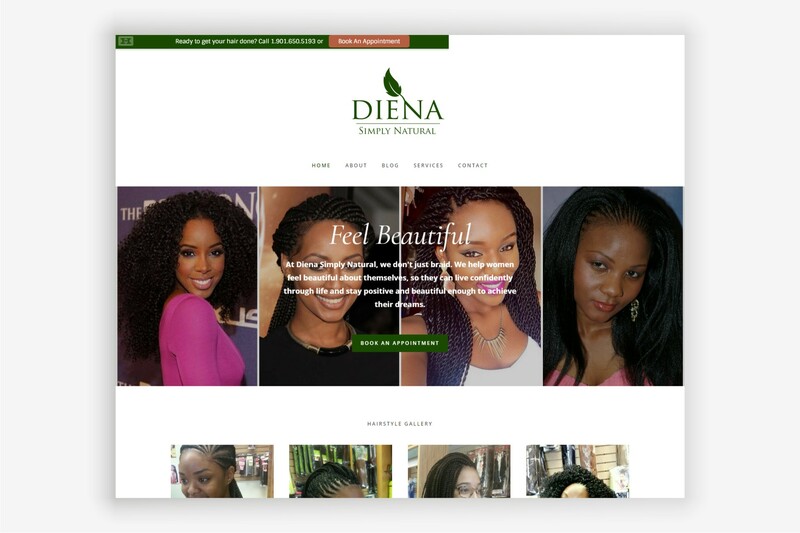 With the help of local SEO strategies, DSN appears on the first page of Google for any searches relateto hair braiding inMcKinney, Texas. Google My Business immensely contributed to making this successful. For about a year now, DSN receives on average 4 new customer requests daily via the website contact forms. This figure excludes leads from social media and leads who call their help line directly.